Something's up in London's discoland, in Tottenham of all places. In terms of nightlife the last couple of years have felt a bit ‘touch-and-go’ in the capital. But now, after the forest fire, new trees have started growing and things are looking up. Literally a couple of minutes walk from the 24-hour Tube at Tottenham Hale are The Cause, run by Stuart Glen and Eugene Wild, and Grow Tottenham run by Paul Mcgann and Chris Morris and their respective crews. In one of those funny little quirks of coincidence, both projects landed on the same strip of knackered old warehouse and stark concrete parking space earlier this year. The clubs have different but synergetic approaches to integrating hedonistic party time into the local community, with an emphasis on making things sustainable and fair and fun for everyone. They blend a good dose of hippie idealism with the business suss required to survive more than a few days in the London jungle. In many ways they’re the perfect expression of that spark that kicked off just over three decades ago and changed things for so many of us. The premise behind The Cause is to make a 600-capacity, two room nightclub a way to contribute to the local community and mental health charities. It's definitely not some dreary, ‘no fun’, worthy-but-dull enterprise, though. Both rooms have killer custom sound systems, there's a large outdoor area with bar and BBQ plus sound systems in the daytime. 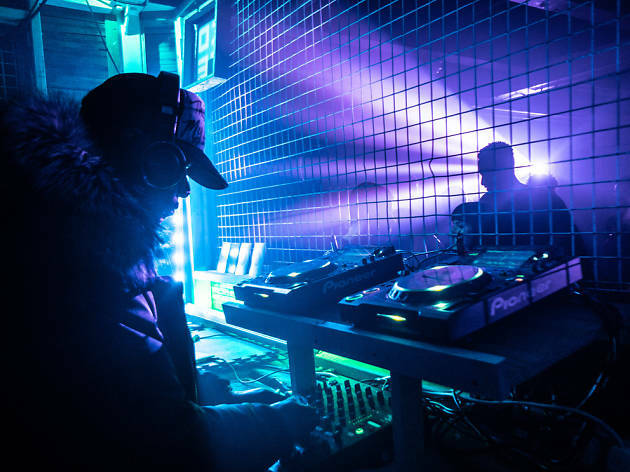 The likes of Adonis, London Loft, World Unknown, ReviveHer and Sportsbanger have already done parties there, with plenty of London's most notorious party-throwers now scrapping after the available dates. Grow Tottenham is a slightly different beast. It started as a community garden on the site of the Heygate estate in Elephant and Castle, and somehow magically morphed into a fairly crazy, Mad Max-esque, late night party space last year before having to move north. They're currently turning a pretty unforgiving slab of concrete into a garden with meadows, they have a very nice cafe running in the daytime with plenty of the menu available on a ‘pay what you can’ basis and inside the warehouse have a 300 capacity clubroom, again with a really sweet custom-built rig. Theoretically both venues can be combined into a three room, 1000 capacity venue with room outside for another couple of systems in tents during the day. This theory will be put to the test by Mr C in September, with his 24 hour one-day festival. I’m fairly sure it’s going to work brilliantly. Overall the whole site occupied by both spaces resembles something like a festival build, or an incredibly well maintained traveller’s site. It's not uncommon to see both crews outdoors and on the tools in the morning sun straight after their parties have finished, to build the next stage of the plan. Nobody is getting a great deal of sleep at the moment. But there are a hell of a lot of smiling faces getting the work done, and loads of volunteers straight off the dancefloor wanting to know how they can help out. This really feels like a whole new London coming out of the shambles caused by the inept political and fiscal charlatans who seem to have deliberately tried to send us all to the dogs. Finally, the punks, the hippies, the acid house lot and a whole big bunch of other people have found a way to gently ignore the system and build something solid that works for us all and anyone else who wants to join in. This feels kind of permanent now, and a model that others can take inspiration from and interpret in their own ways.